Wow it’s been a crazy week last week obviously. 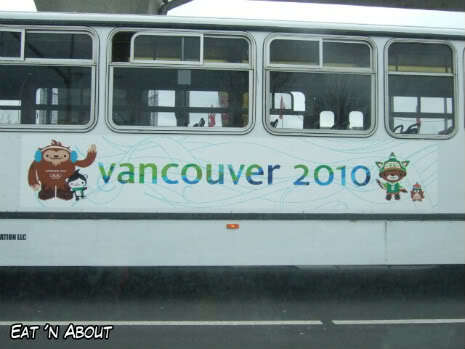 If you hadn’t noticed, Vancouver’s hosting the current 2010 Winter Olympics so Boyfriend and I had been around town enjoying the festivities. After all, we’re two of the many, MANY unofficial sponsors of the games from the province of BC. First up, Richmond’s O-ZONE. I had Boyfriend visit that with me. There actually really wasn’t much to see. It was actually quite boring. As I dragged him out before we could even eat, he was famished and bought whatever he could find. As expected, food prices was highly hiked. A bottle of Coke was $4 for heaven’s sake. Boyfriend got tempted by the so-called Japanese Hot Dog. They must’ve heard about the success of JapaDog. That’s what it looks like above. That thing cost $5.50. I’ll leave it at that. 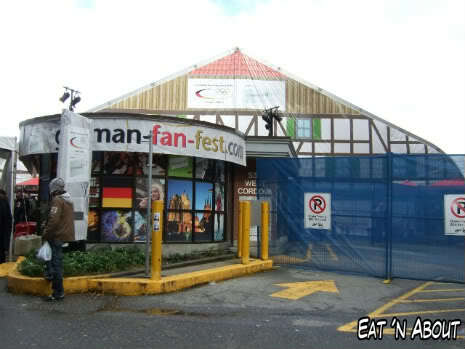 Next, the first pavilion/house we went to after visiting the Cauldron was German Fan Fest (not to be confused with Saxony House, which is also German-based). It was located at 555 West Cordova Street. Pretty Sis strongly recommended we come here for the bratwurst. A hot dog for $7??? Of course. Now’s the perfect time and place to gouge you right? 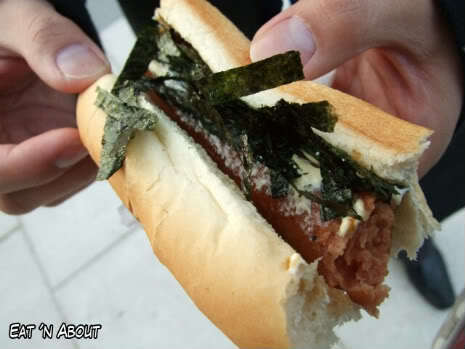 Well it was better that that Japanese Hot Dog for sure. 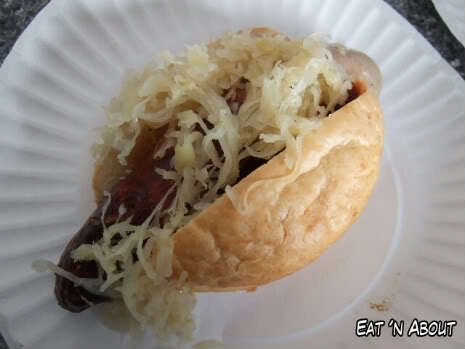 It came with a small bun and sauerkraut. 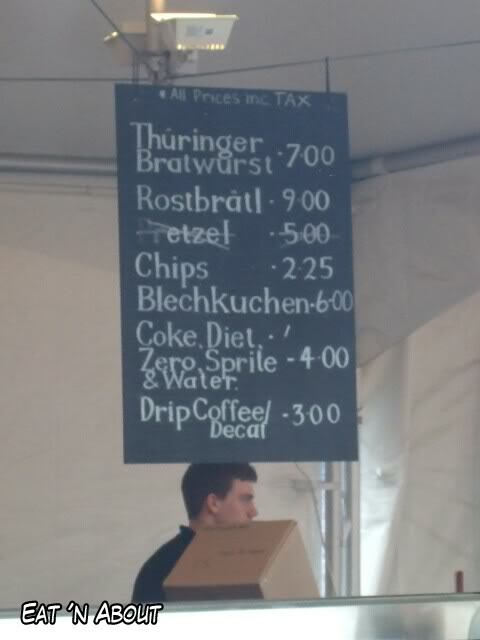 The bratwurst was juicy and delicious, but it had better be for $7. We also had what we assumed was the Rostbratl for $9. I can only describe this as a pork chop. 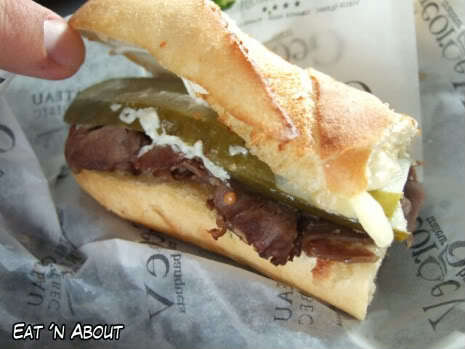 It was also juicy and delicious, not overly salty, but overly expensive. 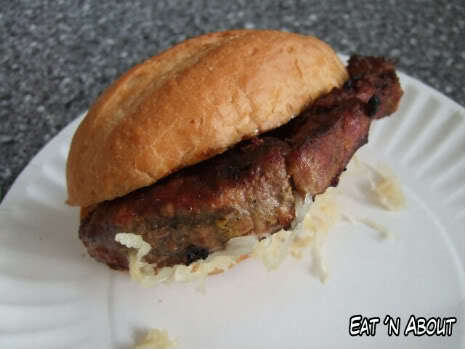 It was served with the same bun as the bratwurst. They did provide ketchup and mustard but we decided to have both as is for all their flavor. Now to the Quebec House. The picture above shows the Red Deer Panini…..TEN BUCKS, FOLKS! BOO YA! The picture only shows half of it. I couldn’t taste much of a difference between that and a beef one. There’s no city called Red Deer in Quebec, so it probably is deer meat, I have no clue whatsoever. It was ok, but not the best panini I’ve had by far. That is one good-looking beer can. 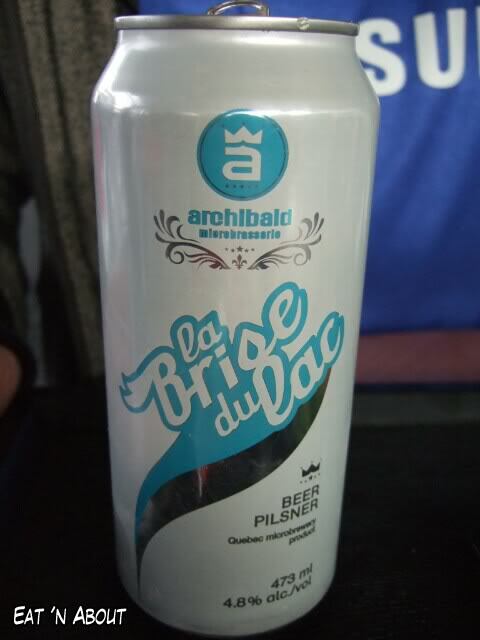 La Brige du lac is the name. I am the first to admit that I don’t have the tastebuds for beer. The first couple of sips were smooth, then it got progressively bitter. Eventually half of it was left waddling on the table until it was thrown into the garbage. Bleh…..
That’s all for now, post more tomorrow (hopefully!). The Olympics is only here till the end of the week so if any of these entice you, you better get movin’! Those lineup are long yo! I tried to find the German Fan Fest, but to no avail. Seems like a very unknown destination, as none of the volunteers I asked were aware of this place. I would have been better off to ask where the cauldron was located. Anyways, I had to settle for the Japadog which was not as good as the original in Vancouver.